A favorite breakfast in our home is French Toast. Since my husband was away on business for almost a week, I thought I’d surprise his favorite breakfast his first morning home. Instead of making normal french toast, I decided to make a French Toast bake. I was able to put it together the night before, and simply pop it into the oven when I got up the next morning. Oh, does it smell a-MAZ-ing while it’s baking. The aroma of cinnamon and sugar fill up the house. 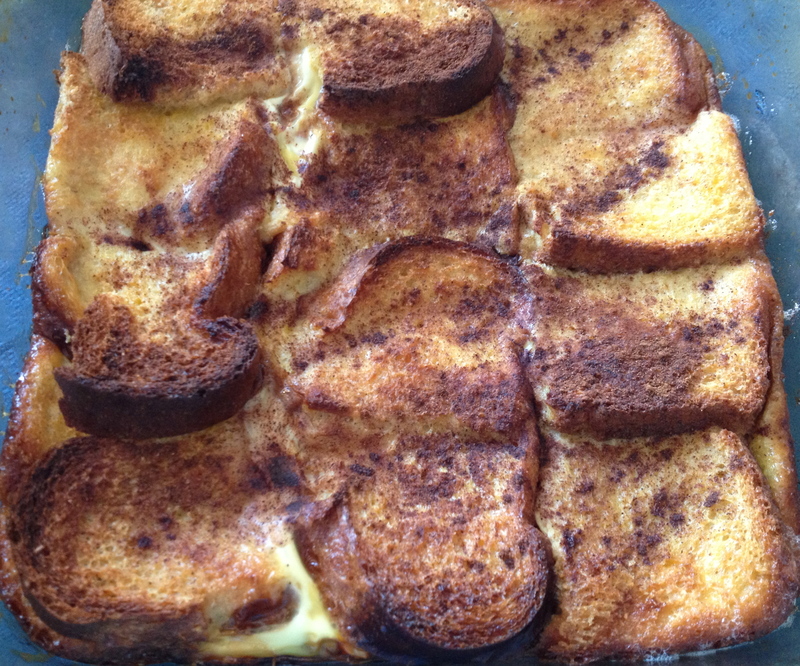 A French Toast Bake is perfect for an Easter or Mother’s Day Lunch. It’s great when you have out-of-town guests. And it’s always a hit for any breakfast potluck. I have no doubt you will enjoy this dish as much as we do! 1. Melt butter in the bottom of a 9×13 baking dish. Pour brown sugar evenly over butter. 2. Layer bread in dish (2 layers). If you are adding apples, place fruit between layers. 3. In a bowl, mix eggs, milk, salt and vanilla. Pour over bread. Sprinkle a little cinnamon and sugar over top. This entry was posted in Menu Planning and tagged Easter Breakfast, french toast, French Toast Casserole, make ahead breakfast, Mother's Day Brunch. Bookmark the permalink.